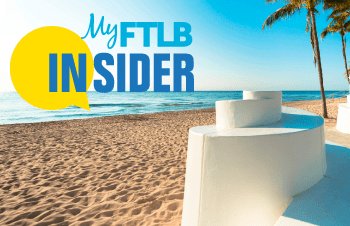 Options abound on Fort Lauderdale Beach to stay physically fit and active and there is no better time to shine a sunbeam down on them than during Physical Fitness Month in May. Pedal A1A on a Broward B-cycle or jog, power-walk or in-line skate on the beautiful palm-lined brick promenade. Swim, paddle board or windsurf in the waters of this Clean Beaches Council-certified Blue Wave Beach or at the oceanside Aquatics Center. Take a serene or intense yoga class on the sand or do crunches and pull ups at free Fit Trail circuit stations, then shoot hoops or play volleyball on sand courts at the Beach Park. Check out the many ways to get in a #FitLauderdale frame of body and mind at area resorts, spas and during special events on Fort Lauderdale Beach. And while you are doing so, feel free to snap, tag and share your #FitLauderdale activities on our Facebook, or Twitter page or Instagram account. Maintaining your fitness routine is easy when you Stay Atlantic. Our fitness center is open 24/7 to hotel guests and boasts state-of-the-art cardio and strength training machines. We also offer guests relaxing yoga classes – please call Spa Atlantic at 954-567-8085 for dates, times and pricing. A1A Beach Activities guarantees whether you are a first timer or experienced, Paddle Boarding is a fun and easy way to play or exercise on the water. While paddling, you will see why Fort Lauderdale is the Yachting Capital of the World plus get the closest view of past and present Celebrity Waterfront Homes like Scottie Pippen, Sonny and Cher, Tarzan, Lee Majors, or Michael Mann’s home featured in the last 5 episodes of Miami Vice. As part of B Ocean Fort Lauderdale Resort‘s well-being program, complimentary fitness classes held every Friday & Saturday are extended to hotel guests. All fitness levels are welcomed to participate in the Zen Yoga by Cindy’s Fitness Experience on B Ocean’s private beach on Friday at 11:30am and Aqua Zumba by Dilma in the beach pool Saturday’s at 11:00am. Tucked between the Intracoastal Waterway and Atlantic Ocean, Bahia Mar Resort offers infinite active and adventurous diversions for the young and young at heart including a Funky Fish Ocean Adventure Camp which treat kids to the wonders of water with instruction that includes snorkeling, diving, skim boarding and boogie boarding, shore surfing, beach yoga, ocean art and more, plus biking, tennis and state-of-the-art fitness center on property. Nestled among miles of beachfront development are 35 acres of a pristine barrier island ecosystem that make up the Bonnet House estate and if your idea of being physically active includes leisurely walks, than this is the place. See one of the finest orchid collections in the U.S., and catch a glimpse of playful monkeys and majestic swans during hour to two and a half hour walking tours of the grounds and historic Bartlett home. The Gym Fort Lauderdale Beach is the only Gym in the United States equipped with a open roof top workout area with the panoramic view of the Atlantic Ocean and the Intracoastal Waterway. They are home to the most educated and experienced personal trainer staff and group instructors; we lead by example while making our members a priority. Daily, Weekly, Monthly and annual memberships are available. Hugh Taylor Birch State Park offers a number of ways to work physical activity into your day, whether you choose to join in on one of their complementary Interpretive Ranger-guided walks each Friday and Saturday of the month, bicycle along the 1.9 mile drive, rent a canoe to explore the coastal dune lake or participate in a monthly Wellness seminar. View a complete listing of all the activities on the Birch State Park website. The relaxing recreational amenities offered by Lago Mar are unique among beach resorts in Fort Lauderdale. The 500-foot private beach and swimming pools provide an ideal setting for quiet contemplation as well as active pursuits, there are also four tennis courts, a putting course and a children’s playground for young guests to explore and entertain themselves. Sonesta Fort Lauderdale offers its guests Complimentary Yoga Classes every Saturday as part of their Daily Delights Program. Experienced yogis and beginners alike can partake in a one-hour yoga class overlooking the hotel’s infinity pool or on Fort Lauderdale Beach (weather-permitting). Classes are accompanied by music and yoga mats are provided. Rock Bar kicks off a new Zumba® in the Nightclub series on Saturday, May 2 at 11am. Lose yourself in the music, every Saturday in May at the Ultimate Dance Fitness Party! Complimentary Class Vouchers are available at www.rockbarzumba.eventbrite.com. Day of Admission $10.00 pending space availability. This high-energy class combines simple-to-follow movements with Latin, International and Pop Music rhythms. Geared towards girls and guys of all ages and fitness levels, the hour-long cardio-dance class both tones and strengthens the core, and incorporates hip-hop, soca, samba, salsa, merengue and mambo moves. Participants are encouraged to bring a towel and water bottle and wear comfortable, moveable clothing and a pair of supportive fitness shoes that allow you to pivot your feet easily. Registration begins at 10:30am at Rock Bar and all participants will receive a special discount at sister restaurants Sangrias, Spazio and Tsukuro for Breakfast or Lunch. W Fort Lauderdale has partnered with VLM, Vlaun Lifestyle Management, to provide guests with complimentary Beach & Yoga Classes at the W BEACH. Daily classes at 8:30 and 9:30 am include Beach Boot Camp, Beach Cardio and Zen Yoga. View the Full Fitness schedule for detailed class information. The Westin Beach Resort and Running Wild present the Funky Fun Run every Thursday night starting at the Running Wild store at 6:30pm and ending at the Westin Beach Resort for a free pool side reception with music and craft beer courtesy of Funky Buddha. A free shuttle back to Running Wild is available after the event. For more information, call (954) 565-9400.